Escrow Expert specialising in escrow fraud, neglicence, claims and escrow related lender fraud. Certified by the State of California Escrow Assocaition as a Certified Senior Escrow Officer and Certified Escrow Instructor. 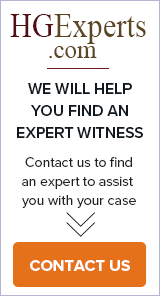 TEAMS provides expert witness services on escrow and title insurance matters - plaintiff or defendant - 100 cases experience - state and federal courts. We also provide management and software consulting services to the title insurance and escrow industries.